Last edited by tachyon on Sat Apr 15, 2017 11:37 am, edited 1 time in total. I'm all in on Fan Dii Na! And there are some striking looking horses in here. Outliers, Satono Ares, Rey de Oro and Cadenas are stunning. In case people don't know, there was or is a USAF base on Okinawa named Kadena AFB. I lived on Okinawa for 3 years. He (#4) was not Kadena but Cadenas. No problem! They sound alike! It's interesting to see that a couple of horses have already run (and won) over 2,000m before the end of April of their third year. The Japanese don't joke around when it comes to stamina. 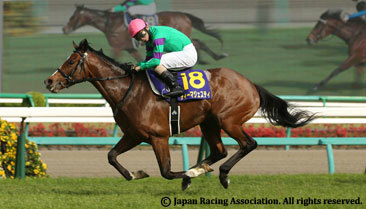 Nakayama turf is labelled as firm today. There are some horses who want to race upfront in this field. If a hot pace develops, this race can be set up for the closers. 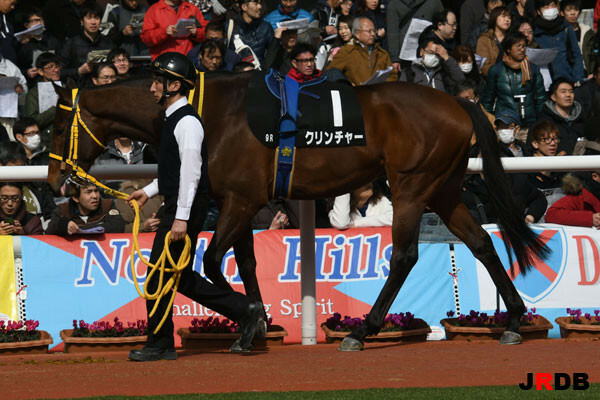 It's going to be very interesting to see how Iwata rates his filly Fan Dii Na. If she can relax, wherever she settles in, she will blow away the boys. Looking forward to an exciting race! Is there a stream somewhere? ...wow. Everything as expected, until... it wasn't. Rey de Oro up for 5th, I think? Fan Dii Na put in a good run & was right there in the closing meters, just didn't have enough. Last edited by lurkey mclurker on Sun Apr 16, 2017 2:55 am, edited 1 time in total. Wins in stakes record time! OK....which race was I looking at the results?! Last edited by Retrospectiv on Sun Apr 16, 2017 8:11 pm, edited 1 time in total.